It&apos;s National Burger Month, not that we NEED a specific window of time to enthrone a beloved, piled-high-smothered-and-covered-cooked-to perfection-patty on a pedestal. Our team knows a good burger. We take lunch hour seriously, so we called in an order for each of our favorites and made a mad dash across town to collect our royal picks. Here&apos;s our take on how to order your next American favorite and we suspect you&apos;ll be surprised. 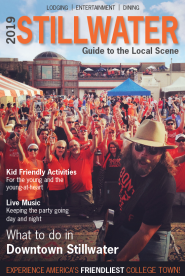 The Little Joe is an Eskimo Joe&apos;s classic. 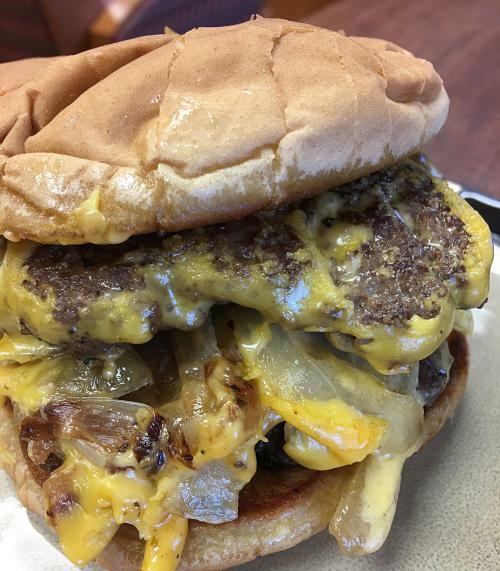 It&apos;s a 1/4 pound beef burger, pressed, grilled, topped with grilled onions and served on a toasted bun. Cristy orders her Little Joe with Pepper Jack Cheese. WE never eat from the Joe&apos;s menu without an order of cheese fries. It&apos;s the rule...like actually a staff policy! 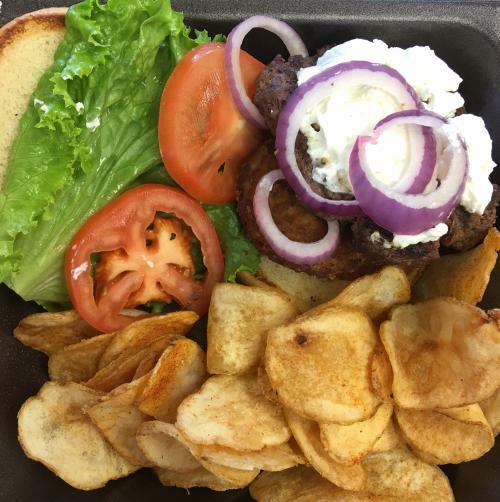 A fairly new favorite but a goodie all the same, Stillwater Town Hall&apos;s Southern Burger is topped with a fried green tomato and goat cheese and served on a brioche bun alongside house made chips. You can choose your patty from ground beef, ground turkey, black bean or chicken breast. It&apos;s ground beef all the way for Kylie, medium rare. Next time you see Nicole, congratulate her. She is expecting a baby girl! We are also attributing her current love (obsession) for PB & J to pregnancy cravings. It may sound crazy, but we assure you...CRAZY GOOD is more like it. 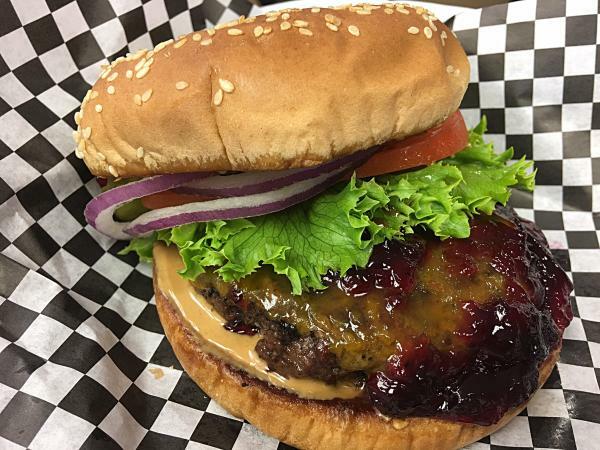 This 1/2 pound Freddie Paul&apos;s Steakhouse burger is covered with cheddar cheese, grape jelly, peanut butter and all the fixings and served with your choice of french fries or sweet potato fries. Nicole always opts for the sweet potato fries. Our Office Manager is on the cusp of graduating with her degree in Business Management and we couldn&apos;t be more proud! She&apos;s a rock star in every way and her choice of burgers is equally on point. 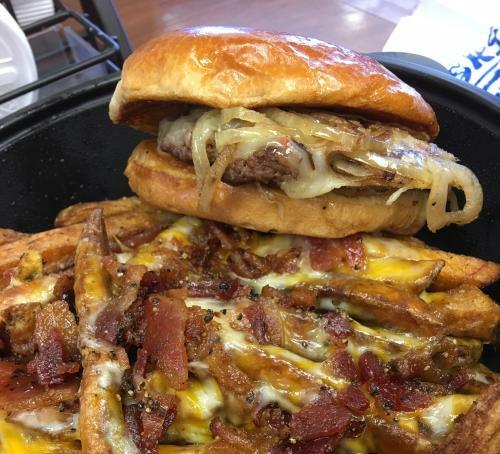 Two beef patties, two slices of American cheese, sautéed onions and bacon served on a toasted bun IS BUSINESS. Oh, and she normally orders it with a side of famous Mojo&apos;s Rock &apos;N&apos; Bowl Grill tots covered with cheese. She&apos;s totally changing it up and we love her style. 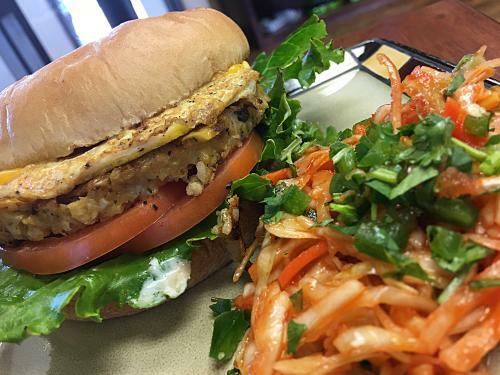 The Egg-O-Nater is one of her favorites and a fresh twist when ordered with the Garden (veggie) Patty. 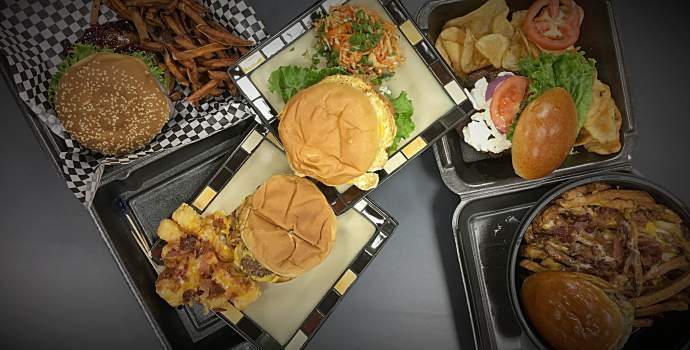 All of the burgers at The Garage can be customized with your choice of beef, turkey, bison, chicken or garden patty. The Egg-O-Nater is a 1/3 pound patty topped with mayo, lettuce, tomato, bacon, egg, and American cheese. Her recommended side is their Sriracha Slaw and today it was on fire!